A tiny piece, but one with a powerful sparkle! 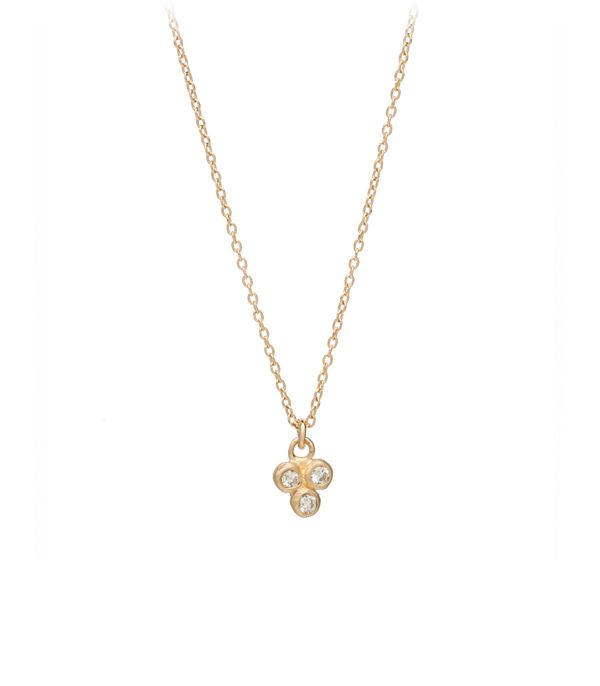 Our Trilogy Cluster Necklace features three twinkling diamonds (0.11 ctw) dangling from a tiny cable chain. Absolutely perfect with any outfit. Finished with lobster clasp. Categories: For the New Mom, Holiday, Necklaces, Tresor.